Meryl Streep’s recent reception of a The Presidential Medal of Freedom got me thinking about my favorite films of hers, including one directed by Mike Nichols (1931-2014)- a filmmaker far beyond my generation but still beloved by many of us nonetheless. It is a miracle and luck when any work of art, creative piece or cultural manufacture reaches out and touches those like it depicts. However, it is supernatural and magic when a work of art, creative piece or cultural manufacture so far beyond an aesthete’s age, race, class, gender and experience arrives to inspire and introduce new lives to them. The handful of works I know from Mr. Nichols all do that for me. 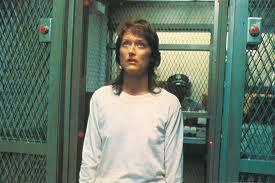 In Mike Nichols’ 1983 film Silkwood, a true story, Streep plays Karen Silkwood: a labor union leader and nuclear power plant worker suspected of being murdered after she blew the whistle on the nuclear hazards far too many employees (and even their families at home) suffered from due to their jobs in a plutonium plant. We watch Streep, as Ms. Silkwood, go from a jolly hillbilly perfectly content with life into a hysterical but composed character determined to make her mark by standing up against a powerful company…and losing her life in the process. This film, along with her seminal Oscar-winning turns in Kramer vs. Kramer (1979) and Sophie’s Choice (1982), was one of my first exposures to Meryl Streep’s work and perhaps the one which turned a little Black girl in Kankakee, Illinois, into one of her fans. For one thing, the characters in Silkwood talked, dressed and looked like the “White folks” around where I was from, in a way different from the usual veneers of glamour and middle or upper class sensibilities more commonly ascribed to White cinema characters in those Dynasty days, outside of westerns and urban narratives. I was emotionally penetrated and affected by portions of the rather slow-moving and naturalistic film, including violent scrubdowns of Ms. Silkwood when the plant’s digital overseers sensed she was “contaminated” and relations between Ms. Silkwood’s closest confidantes or domestic intimates (two played by Cher and Kurt Russell). At that very young point in my life (I was 5 when the movie came out), I was not all that interested in credits of a film beyond what Siskel and Ebert may have mentioned prior to their television review. 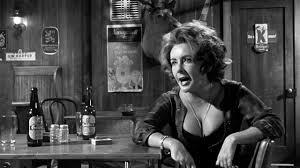 I also did not know Mr. Nichols’ first film was also responsible for turning me into a fan of another legendary actress: Who’s Afraid of Virginia Woolf? (1966) and Elizabeth Taylor, a film she played with her real-life love Richard Burton. It was a movie I recall as an astonishment because Black women around me praised her plump beauty and powerful attitude in ways I usually only saw them praise other Black women for. In that film, Taylor was like an “adopted” Black sista. By the time I was in college and firmly set on a path for a career in the humanities and arts and culture, I was aware it was almost more important to understand work behind the scenes before even beginning to understand work in front; the writer and director and cinematographer and blah blah blah began to matter. So, I was very aware of Mike Nichols as the man behind the women (and men) starring in the stage-to-film adaptations of Margaret Edson’s Wit (2001) and Patrick Marber’s Closer (2004)– award-winning, stellar stage plays I admire as well. Smaller ensembles on simpler sets have a painstaking if not terrifying task: to make a work of art tolerable and interesting and attention-grabbing for an extended period of time, with much less resources and people than a blockbuster film has to do so. 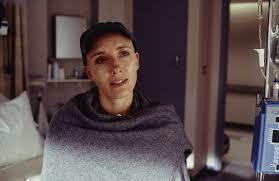 Though Emma Thompson, Natalie Portman and Julia Roberts won Academy Awards for other performances outside of these films they star in, I believe Mr. Nichols elicited their best work in these very concentrated, dark character studies about such troublesome facts of life as adultery, divorce and death. I first saw the film Closer in a lower Manhattan cineplex with a writer friend and photographer who was astounded by the movie’s shots and again while alone at the old-fashioned movie theatre in my small hometown. It is one of my constant and favorite “go-to” DVDs and films, for the epic length of its scenes (making it easier to turn away for other things, but come back oriented) and the rawness of such famous actors who should have trouble hiding behind a role past a certain point of notoriety; the fact Closer‘s tiny cast does so effortlessly is largely due to Nichols’ gifts. 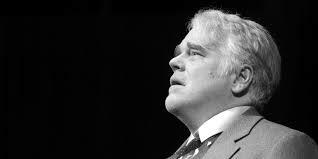 I had a dream in 2012 to sit in the audience of Arthur Miller’s Death of a Salesman on Broadway at the Ethel Barrymore Theatre, starring Phillip Seymour Hoffman (1967-2014) directed by Nichols. That dream did not come true. It never will. Wonderful post. I agree with you completely.